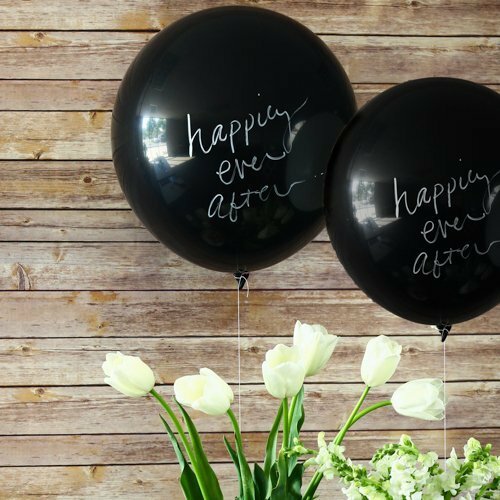 For your wedding, use a chalkboard balloon kit to make a bold statement – literally! The liquid chalk pen allows you to convey the perfect message to guests, while the coordinating, extra thick black and white baker's twine, beautifully pulls this casual yet sleek look altogether. Fill with helium for a decorated floating finish, or just add air and hang from the ceiling for a drop down message!